This cliff is suppose to resemble an elephants's head...can you see it's trunk? Lovely view! This is the kind of place that i would love to go to. Its so relaxing and we get to appreciate the beauty of Nature. Welcome back! Thank you Jess, sorry for the late response, but I wasn't getting notification of comments...sorry! It was a much needed break. 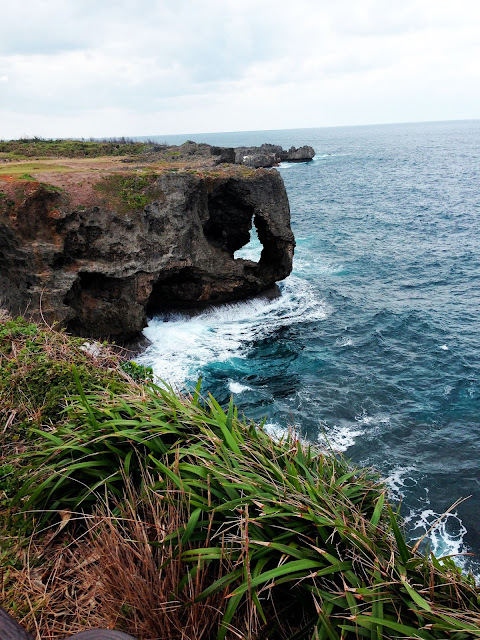 I highly recommend visiting Okinawa; beautiful scenery and tasty eats!